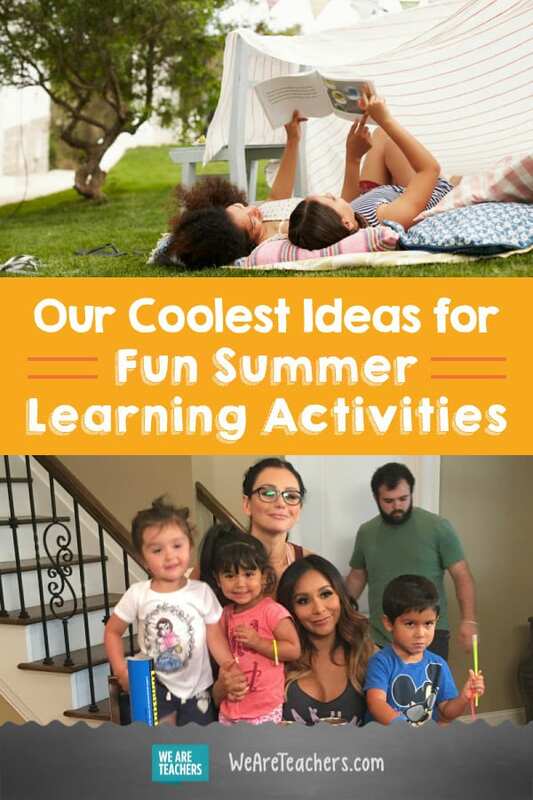 We talked with Moms With Attitude about the best ways to keep kids learning all summer long. We love summer! 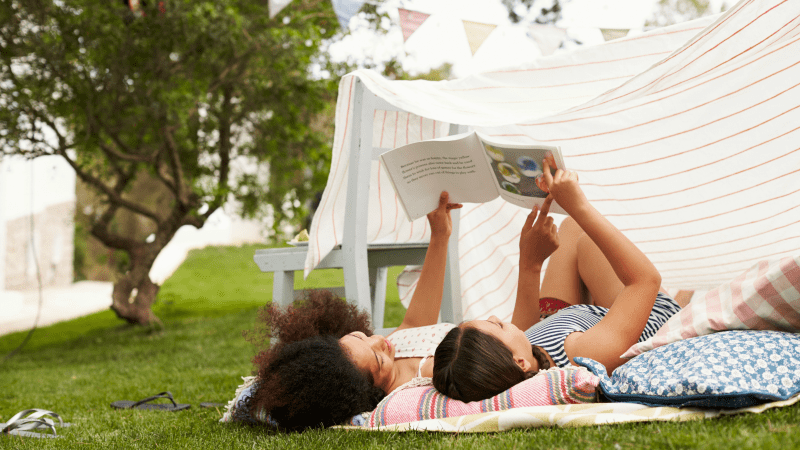 Hot days, cool lemonade, and lots of time to read intense classic literature, solve the quadratic equation and create in-home science experiments that just win the next Nobel prize. Oh, wait, you don’t do that? Instead, if you’re anything like us, the summer is your one time to kick back and relax so you’re all ready for the school year. The problem is that while you’re reading juicy novels by the pool and sipping iced cappuccinos, your students (and your own kids) are likely doing the same thing, sans the novel and the caffeinated beverage. Which is great for relaxing and rejuvenating, but not-so-great when it comes to being ready for academics come September. Which leads to the question: What can we as teachers and parents do to keep our early learners learning over the summer? And how can we do it in a way that’s totally fun? Our friends Nicole and Jenni from Moms With Attitude asked us that question and so we sent a couple of our WeAreTeachers editors out to their studio in New Jersey to share our best teacher-recommended ideas. 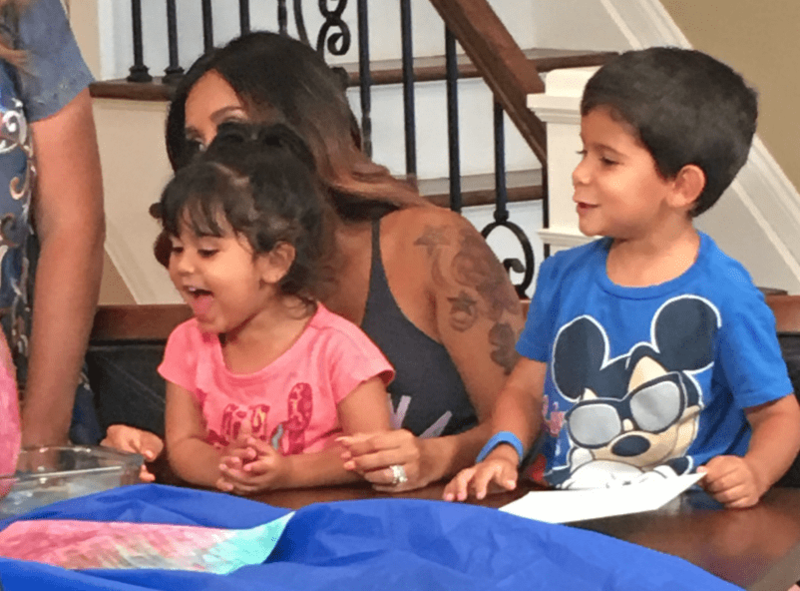 You can watch the entire segment below (aren’t Nicole and Jenni’s kids adorable? ), and then scroll down to get instructions, supply lists and more. Make sure to tell us in the comments which projects you tried and what you thought of them. Enjoy! WATCH WEARETEACHERS.COM ON MOMS WITH ATTITUDE BY CLICKING HERE! It’s art! It’s science! It literally takes 10 minutes to do and when you’re done, it’s a breeze to clean up. Just dump some milk into a casserole dish. Add a few drops of food coloring and a few drops of dish soap. (If you want to dazzle your kids with talk of hydrophobic micelles and the science behind this trick, here’s a link to an explanation.) Then, dip plain white paper into the milk and watch as the colors swirl across the surface. Dry your paper overnight and then use it for letters, cards and more. Curling up in a cozy, just-for-reading nook is pretty much the best thing to do on a hot summer afternoon. Find a cozy corner of your house and deck it out with everything your kid needs to snuggle in and read or listen to an audiobook. (By the way, did you know you can get unlimited access to hundreds of books and audiobooks for kids on Epic?) We recommended this adorable tent for Nicole and Jenni’s kids, along with a fuzzy blanket, a big pillow and some fairy lights. Your kids will be obsessed with this easy project. Just put a bit of tulle into mason jars, then snip open a couple of glow sticks and dribble the glow gel onto the tulle. Screw on the lid, turn out the lights and watch the glowing magic happen. You already have the perfect math manipulative right there in your house: Lego bricks! For Nicole and Jenni’s kids, we used Lego bricks to make an awesome sundial (yes, it’s as simple as it looks… just stack and go!) and to play the Sticky Play Dough Game, which basically means you have your kids see how many bricks they can squish into a pile of play dough and in the process become the coolest math teacher ever. First: Chose one of these activities to do each week until school starts. Second: Make a promise to spend an hour a week snuggled in your reading nooks reading. Sounds simple, doesn’t it? But we promise that by doing those two things, you will help your kids be ready to rock the next school year.